When my friend said "Let's pop down to the garage for some lunch" I was a bit stunned. I assumed that her service station must have something better than the usual boxed sandwiches and hot box pies. 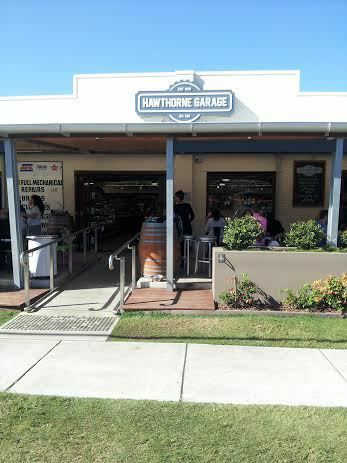 I was greatly relieved when we pulled into 'Dan and Andy's Hawthorne Garage' which turned out to be an Ex-garage. From the back, carpark entry it looks like a deli/fruit shop. However on further inspection it has a cafe and seating at the front. Fresh colourful fruit and vegetables. Unfortunately privacy issues make it hard to take photos these days so I'll just have to tell you about the clientele. Two groups of older women obviously catching up. A middle-aged man reading the paper in peace. A young couple heads together working out a crossword. One teenage couple with their phones out ignoring each other. A family where one child was happily wearing cardboard food box on her head as a hat. A young man stocking up on what looked like a weeks worth of meals. The falafel wrap was delicious. The coffee came with a complimentary mini gingerbread man. If you don't like regular milk - you can have Zymil, soy or almond milk. In the fridges there were lots of gluten free choices that look like real food. 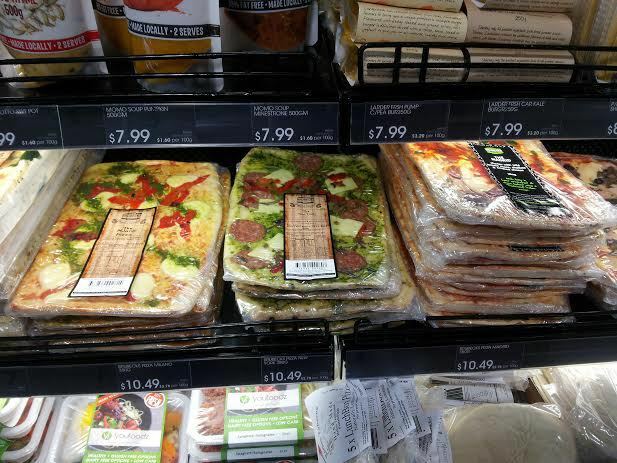 Pizzas, pides ready to take home and heat up and fresh looking salads in plastic containers. The deli had wraps and rolls and muffins and cakes and leg ham waiting to be sliced. 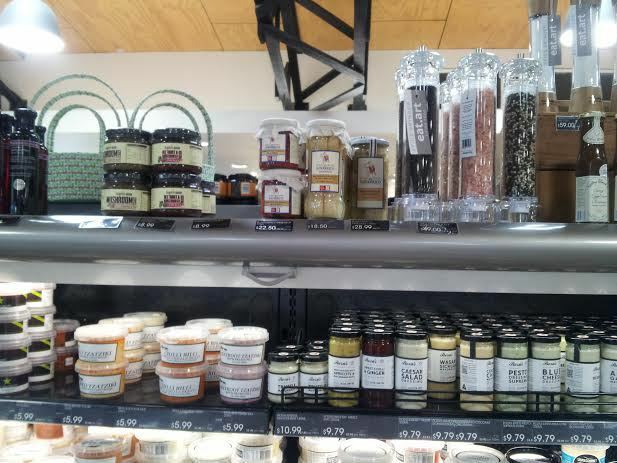 A great range of pre-prepared meals. 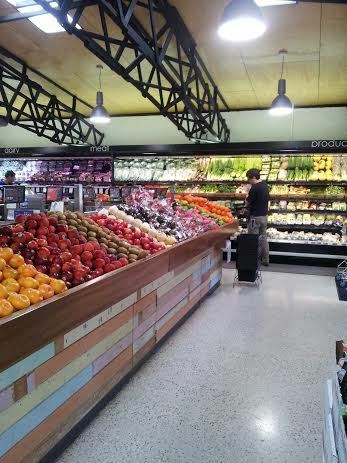 rows of fresh colourful fruit and veg. 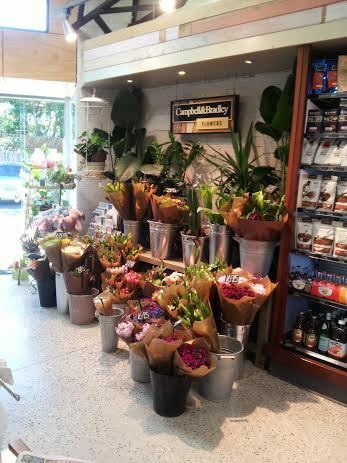 They also displayed bunches of flowers and large potted plants. Open late, this a great place to pick up a guilt free dinner that is actually edible. Take home an armful of colour. Why? 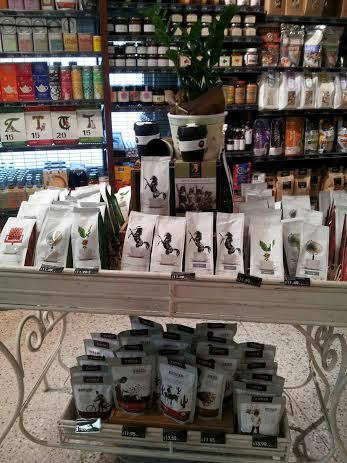 Fresh food, gourmet food, organic and gluten free.